25 Goals Affirmations For Setting And Achieving Goals. 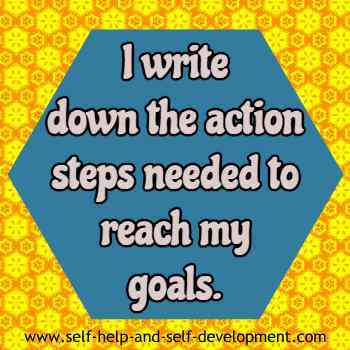 Goals affirmations are an integral part of the process of setting and achieving goals. Use them regularly to condition your mind to achieve the goals you have set. Setting goals is easy. Achieving them takes some work. Affirmations, visualization, planning, focus, hard work are all necessary for achieving goals. The following affirmations focus on goals. Make them an integral part of your goal setting and achieving program. Select one, two or more GOALS affirmations from those given below and repeat them several times in front of a mirror. Combined with your other activities, they will provide wonderful results. 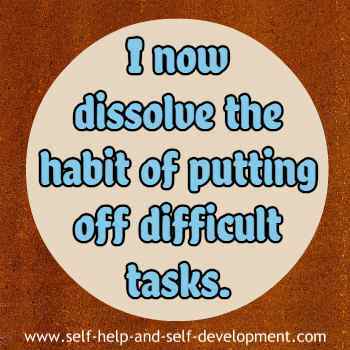 I now dissolve the habit of putting off difficult tasks. 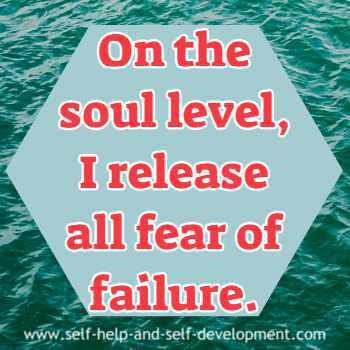 On the soul level, I release all fear of failure. my goals have dissolved now. 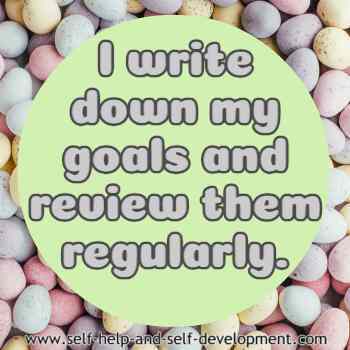 I write my goals down and review them regularly. I write down the action steps needed to reach my goals. 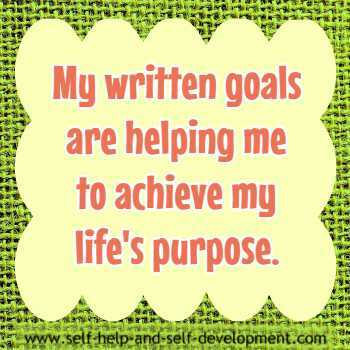 My written goals are helping me to achieve my life's purpose. All resistance to taking the appropriate goal-achieving actions has vanished. I let go of all pessimism and doubt that I will achieve my goals. 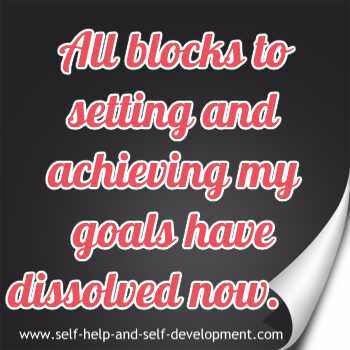 I dissolve all blocks to clearly visualizing the attainment of my goals. I visualize the achievement of my goals daily. 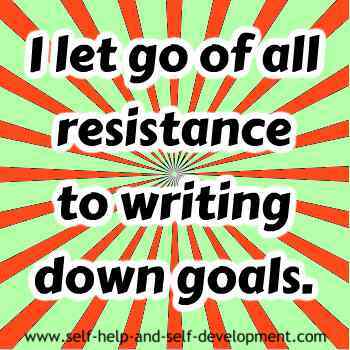 I recognize the barriers to achieving my goals and I move around them, over them and through them. I let go of a life without goals and replace it with a destiny of success and grand achievement. I'm firmly on the path of achievement and success. Everything is working out for me now. I set and achieve challenging and worthwhile goals. My goals fit perfectly with all areas of my life. Each of my goals is assigned a date that I expect to achieve it. 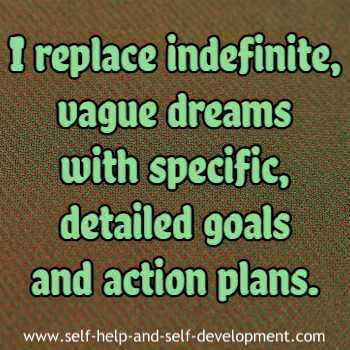 Another way of using goals affirmations is through hypnosis CDs or MP3 downloads. As you are aware, hypnosis is a powerful way of influencing the subconscious. If, in addition to affirmations, you also listen to hypnosis CDs or MP3, once in the morning and once at night before sleeping, it will do wonders to your progress.